We’d like you to relocate to Terrell America. We are only 30 minutes east of downtown Dallas, but we are not a typical suburban city. We like to call ourselves an “intact community”. You can live, learn, work, shop, play, enjoy, and innovate. That makes Terrell not just a small town, but a community. No matter if you want to work with your hands, your higher education degree, the latest high technology, or all three, Terrell has job opportunities available for you. In a city with 16,000 residents, we have 11,000 jobs. We are the home to five Fortune 500 companies, a regional bank corporate headquarters, several medical providers, and high tech manufacturers. If you are considering putting down roots and buying a home, try Terrell’s historic neighborhoods. We have homes, small and large, dating back to the 1870s. 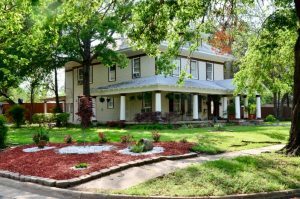 With majestic trees, sidewalks, front porches, and neighbors who get to be friends, you’ll find a unique place in Terrell. It’s not uncommon for a single block in Terrell to feature homes from the 1950s. That creates an authentic, one-of-a-kind feel that you can be proud to join. 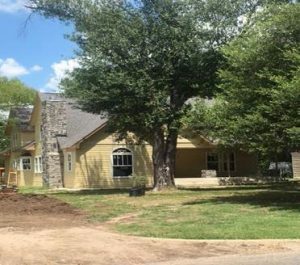 Terrell has experienced approximately $20 million in new, single-family construction in the last three years. Since 2012, the average sale price of a home in Terrell has increased from $94,000 to $180,000 in 2017. The average house in Terrell is only on the market for approximately 24 days. When you drive our neighborhoods, you will see owners reinvesting in landscaping, fences, facades, and renovations. If you have children ready for great schools, Terrell is the place for you. Terrell high alumni have gone on to graduate from MIT, Princeton, Duke, Notre Dame, top-ranked Texas Universities and Ivy League schools. They’ve won at the Grammy’s, the Olympics, and in the NFL. Voters recently approved a Terrell Independent School District bond election investing over $45 million in a series of improvements at each campus.